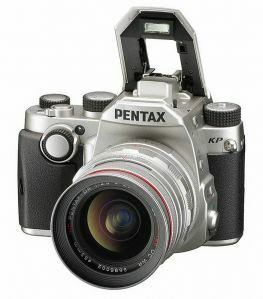 Cyber Monday 2018 - $200 off the Pentax KP - just $697! 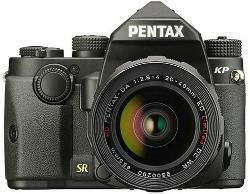 The Pentax KP just dipped by $200 at B&H as an early Black Friday deal. Get yours at the lowest price of the year and score a free lens while you're at it! Looks like the lens is now showing as In Stock. Let's see if they actually ship it! My strap and bag shipped... The lens has been upgraded to "processing". So Caribe did you get your kit or did you end up like ZombieArmy (with wrong accessories bundle) or you're in the Adorama 'back order' zone like me? So, yesterday the KP arrived. They mailed the "accessories" pack first. I've been ordering photography related products from Adorama more than from BandH or Amazon lately. Only because they've had what I needed at the precise moment. All normal, but it would be very inconvenient if any of the different scenarios witnessed here happens to me. It makes me think twice. Sometimes a couple of dollars doesn't justify the "risk". I live overseas which means that sending things back and forth makes it harder. Adorama should make a statement to their customers. Last edited by Caribe; 12-07-2018 at 06:16 AM. They just shipped my lens. Should finally have everything from my order early next week. My ordering experience was pretty good. Ordered around midnight of the 23rd; camera was already listed as out-of-stock/back-ordered when I ordered so I knew I'd be in for a bit of a wait. But it was a good price and my wife's K-50 is showing signs of aperture block failure, so I went ahead with the order. I received an email giving me the option to contact Adorama for the accessories if I wanted those shipped early, but since I didn't really need them so I gave that a pass. This week, the accessory bundle shipped on the 3rd and the camera shipped a day later; got the lens/bag/strap yesterday and the camera arrived today. I didn't have to contact them and everything arrived in fine working order, so for me at least it was a trouble-free order. All things considered, I can't complain. Glad I wasn't one of the unlucky ones--hope you all receive your orders ASAP! Would be nice if this special returned. What I've been expecting is a similar markdown on the K-70. If they do a KP markdown again, I'll be really confused about their intentions. Last edited by reh321; 12-09-2018 at 07:12 PM. What I've been exoecting is a similar markdown on the K-70. If they do a KP markdown again, I'll be really confused about their intentions. The KP sale that started this thread was listed as 21% discount - literally a shelf-clearing price. K-70 is currently priced at nearly $600 at both B&H and Adorama - so a similar price for the K-70 would be something like $400 at both stores. I'm not sure we appreciate yet the $700 price for a camera that had no reason to be so deeply discounted already. If you want Pentax to stay around SHOP PENTAX. Don't complain about the price if the LENS IS NICE. Last edited by BigMackCam; 12-10-2018 at 07:05 AM. You didn't quote anyone, so I don't know who you were responding to - but this does directly follow my post, so I shall respond. On Black Friday I purchased a KP and a 55-300mm PLM lens; can I assume you have also made purchases this month?? All times are GMT -7. The time now is 01:47 PM. | See also: NikonForums.com, CanonForums.com part of our network of photo forums!